If you are involved in an accident, whether it’s a slip and fall at a store or you’ve been hit by a car, it’s important that you don’t delay taking action. You might think that you’re okay and that you can “walk it off,” but doing so can severely hurt your case. 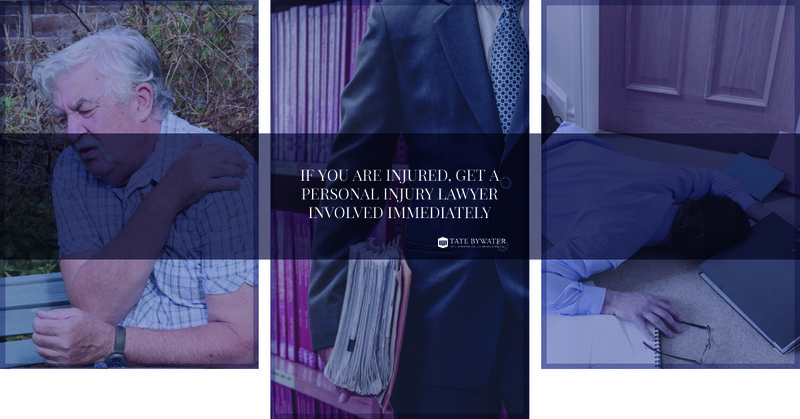 As soon as you’re injured, you need to contact the right personal injury lawyer so that you have the best chance of getting compensation for your injuries. Don’t Wait Until You Feel It: If you exercise, you know that you don’t always feel the strain that’s been put on your body until the next day. It’s good that we have this delay, because if you’re trying to outrun danger you’d rather deal with the pain tomorrow instead of immediately. It’s a similar situation with being injured in an accident. You might be able to walk away from it not feeling the injury, but it might hit you the next day. And even if it hurts the next day, you might not do anything about it, thinking that it’s a short-term injury that will clear up. Unfortunately that’s not always the case, because the pain might last. Visit Your Doctor: You might delay going to the doctor for a day, thinking there’s no real injury. When the pain doesn’t go away in a couple of days, you say you’ll take care of it after the weekend. After you call, you might have to wait a few days to get in to see your doctor. “Suddenly” it’s ten days after the accident and many of the external signs of injury are gone. Head to the doctor so that a baseline can be set. It shows that you took the crash or fall seriously and external injuries, such as bruising and cuts, can be officially noted. Evidence Must Be Collected Quickly: If you were hit by a driver, traffic camera footage needs to be collected quickly before it’s too hard to track down. We might need to see your totaled car before it’s crushed, or see the damage to the offender’s car before they get it repaired. If you were in a store, security camera footage needs to be found before “something” happens to it. Witnesses Need To Be Identified: Were there witnesses to the accident? The more time that passes after an accident, the harder it is to find them. If the witnesses were employees of the store, it’s important to talk to them before they have been instructed by company lawyers on ways to avoid answering in ways that won’t incriminate the company. We’ll be able to see police reports, but it’s also important to talk to police officers while the situation is fresh in their minds. Delaying action can look bad: It’s possible your case will go to trial, and any delays you’ve taken could look bad. Will the attorney for the defense suggest that you took so long visiting the doctor because you’re trying to cover up a later, unrelated injury? Will your delay in contacting a personal injury attorney suggest that you only considered suing at the urging of someone else? 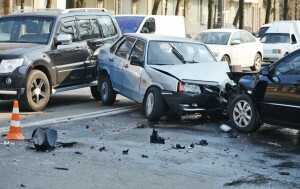 We hope you see why it’s so important to not delay when you need a personal injury attorney. As soon as you can, give TATE BYWATER a call to have the best chance at ensuring your medical bills are covered.